Apple has finally announced a new special iPhone to mark iPhone’s 10th anniversary. This new iPhone is iPhone X. It comes with awesome new features and a new design. This phone was announced at an event in Steve Jobs Theater at the new Apple campus. Apple’s tenth-anniversary iPhone X is the best iPhone Apple has ever made. If you are still figuring out what are the new things in this phone, here is the list. The all new iPhone X comes with Super Retina Display. It is a 5.8-inch OLED display panel with a pixel density of 458 ppi. It is a true tone screen that supports Dolby Vision, HDR 10 and 3D touch. So, this new iPhone X got the best display in any iPhone. This display will be amazing for watching videos and games. As the iPhone X comes with a full frontal display, Apple has completely removed the Home button and Touch ID as well. Swipe up will bring back to your home screen from any other app. So, you will have to relearn how to use this new iPhone X.
Apple has also added all new facial recognition feature in iPhone X. Apple calls it Face ID. It uses Apple’s new True Depth camera system. It features eight different cameras and sensors to recognize a face. Apple’s new chip also features a built-in neural engine that powers the system. Face ID can be used to unlock the iPhone X, Apple Pay, and other third-party apps. Apple has also used the new Face ID camera and sensor setup for all new feature called Animoji. It uses existing emojis and mirrors your own expressions and movements into it. Apple’s new A11 Bionic Chipset comes with 6 cores including 2 performance cores and 4 high-efficiency cores. This new Chipset is a beast to offer you best in class performance. Finally, Apple has added wireless charging. New iPhone X supports Qi wireless charging along with fast charging support. Apple has also introduced ‘AirPower’ mat to charge all your Apple products. It will be available next year. Apple has added dual camera setup with 12 MP wide angle lens and 12 MP telephoto lens. Both camera sensors have OIS. It also has 7 MP True Depth camera at the front. You can capture awesome portrait shots from both rear and front camera. Apple’s new iPhone X is also AR ready. So, you can enjoy several AR games. This phone is powerful with new A11 chip. 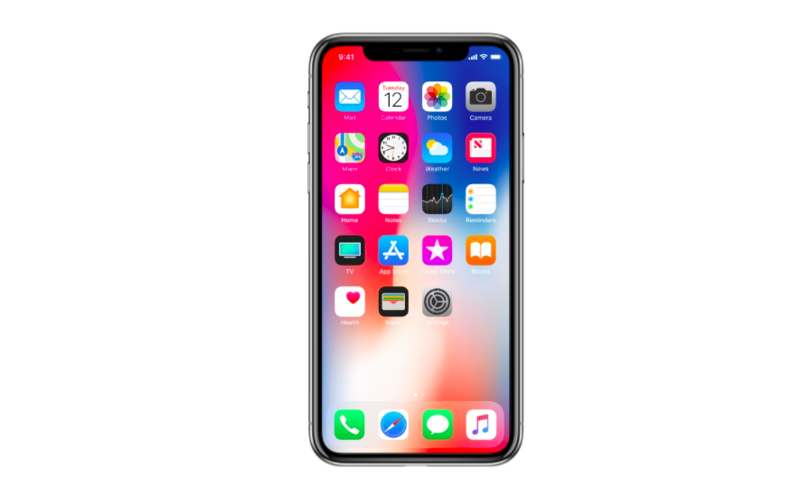 Are you excited to get this new iPhone X?